The Echo is the shape of things to come and an exciting foray into voice-controlled personal assistance at home. Amazon keeps upgrading its capabilities over the air, so seemingly every few weeks it can do something new. Controlling your Amazon Prime music collection with your voice is admittedly nifty. Echo's bag of tricks is limited; you may quickly tire of its few capabilities. As a Bluetooth speaker, it's only so-so. You will probably be unimpressed with its ability to answer questions and interpret your requests in a useful way. 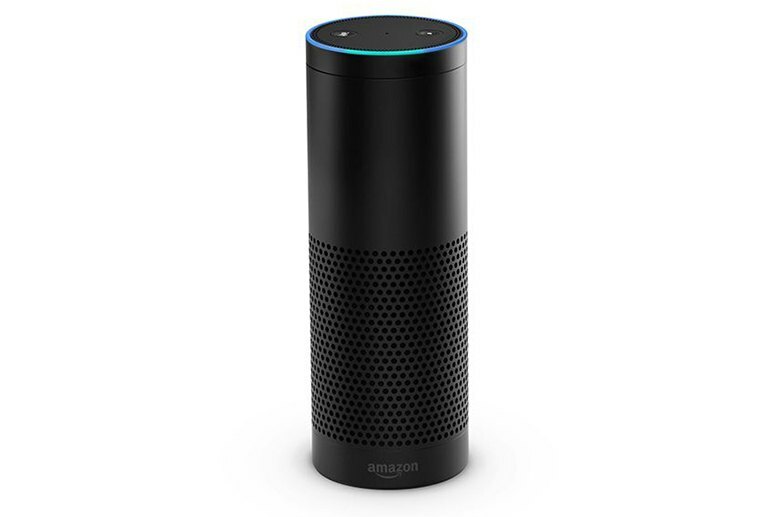 Amazon's Echo is a cylinder about the size of a thermos that includes a speaker, microphone, and access to the cloud. It's essentially Siri--the voice-assistance service on Apple phones--that sits on a shelf in your home. 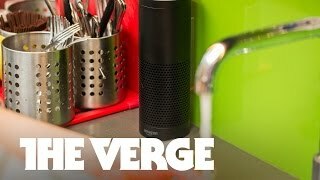 Echo is like a stationary voice-controlled personal assistant that plays music, answers questions, and controls a limited set of smart home appliances. It's also increasingly a home automation control center as Amazon continues to upgrade its brains. There's something about the Amazon Echo that takes me back to my childhood and having an invisible friend in the room. 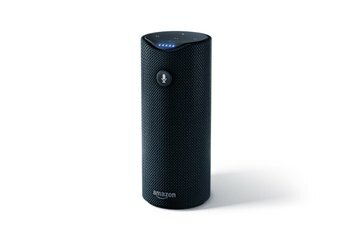 Let's not forget, the Amazon Echo is first and foremost a speaker. And as far as speakers go, it's fine. There's also a lot of Easter Eggs hidden within Echo. Ask if the cake is a lie, how Alexa gets along with GladOS, or how much wood would a woodchuck chuck if a woodchuck could chuck wood. As long as I’m suggesting improvements, I wish there was some kind of security feature that keeps my 6-year-old daughter from placing orders for music without my permission. Few people need an Echo in their home (although it could be a real boon for the disabled), but it is nonetheless an incredibly fun and useful gadget—especially if you have a connected lighting system. 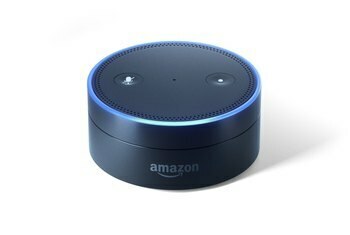 In almost every scenario I can think of, the Echo, and by extension Alexa, are more of a novelty than a necessity. 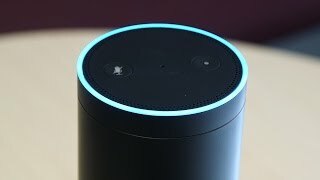 After a few days of trying to come up with things to ask Alexa just for the fun of the thing, my Echo became mostly a slightly faster way to set a timer or do quick conversions while I cook. Echo, despite some imperfections and a higher price tag -- ideally it'd be priced under $150 -- is a likeable device that seems to grow on people over time as it continues to improve. In fact, what Alexa can’t answer far outweighs what she can, so her novelty wears off fast. The Echo is untapped potential. It's an infant and with proper developer support could blossom into a serious smart hub for the home. Her usefulness as a pure information device is limited at this point — there are only so many times I need to ask the time, or the weather, or who the quarterback for the New England Patriots is. But if you ask her vague or conceptual questions, you’re not guaranteed an answer. She can spell words (like “sardines”), and solve arithmetic questions. She can also tell you jokes. Alexa’s jokes are really, really corny, but they make me laugh. The voice-activated 9-inch tower started life as a streaming music speaker that offered an occasional weather report, but it’s turning into much more than that as smart gadgets achieve mainstream acceptance. If Alexa were a human assistant, you’d fire her, if not have her committed. “Sorry, I didn’t understand the question I heard” is her favorite response, though honestly she really doesn’t sound very sorry. 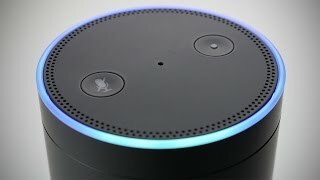 Of the more than 40 connected devices I own, the Echo is one that makes me really feel like I live in the future. And it’s a future that I enjoy. Amusingly, Echo correctly answered questions seeking the names of the CEOs of Apple and Amazon, respectively. Siri, on the other hand, failed miserably, suggesting I go to Apple’s Website for the former and launching the Amazon app for the latter. 60% Said they'd buy it again. I really like being able to walk into my home and ask Alexa to play a song. Or ask what the weather is in a specific city. However, this will compete with my iPhone very soon when iOS 9 adds always on Siri activation, even when not plugged into a power source. Ultimately, the sound quality is mediocre and it falls into my "another gadget" list. I appreciate it being there but I find myself forgetting about it and I already have other systems that I can play music through which sound significantly better--probably because they take 5-20 times the space and cost a lot more, too. I'm excited to see what new features are added, that could turn this into a game changing product.